There is a lack of consensus regarding appropriate criteria attesting patients’ unrestricted sports activities after ACL reconstruction. Purpose of this study was to perform a systematic review about strength deficits to find out if a strength test might be a return to play criterion. 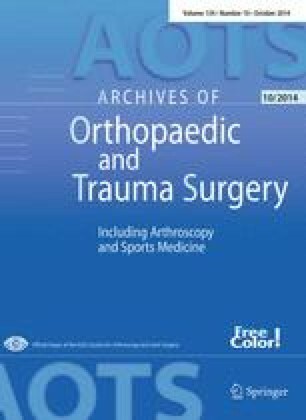 Strength tests after ACL reconstruction with autologous tendon grafts. A systematic search for articles about muscle strength after ACL reconstruction was performed. Forty-five articles could be identified. All articles identified reported strength deficits after ACL reconstruction in comparison to control subjects. Some of these deficits persisted up to 5 years after surgery. Knee flexor strength is more impaired after ACL reconstruction with hamstring grafts and quadriceps strength after BPTB ACL reconstruction. Strength deficits of hip, knee and ankle muscles are reported after ACL reconstruction. Muscular strength test may be an important tool to determine if an athlete can return to competitive sports after ACL reconstruction.